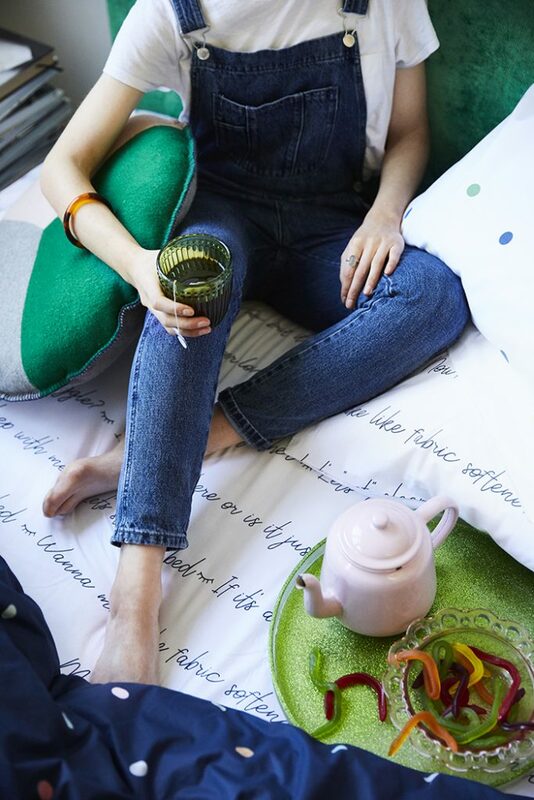 Local Brisbane illustrator and designer Brook Gossen talks to QH about how she’s teaming up with sister Mandie McPherson to turn their passion for design into an exciting new bedding range called More Than Ever. Can you tell us a little more about how More Than Ever came to be? What’s it all about? 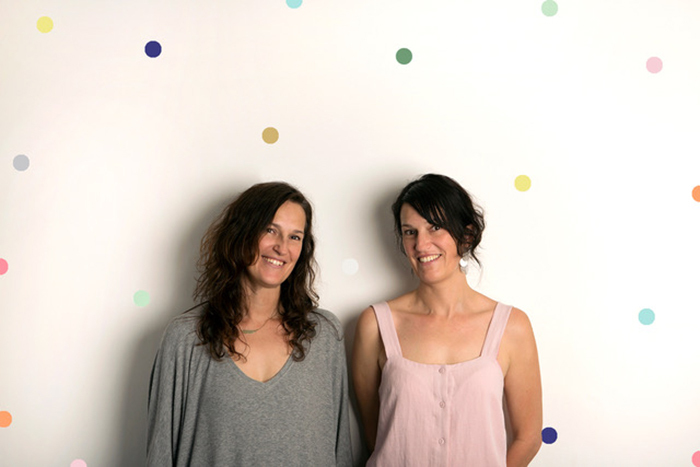 My sister, Mandie and I have always wanted to do something creative together, but between studying, working, travelling and having families, the timing never quite seemed to work. Finally, the stars aligned and More Than Ever was born. I’m an illustrator with a love of pattern design. Mandie works behind the scenes to help refine the designs and run the business. More Than Ever is about colour, pattern, simplicity, and fun. It’s all about mixing and matching because in a house filled with love and chaos things get mixed up, and while life isn’t always perfect, it sure can be fun. What’s the connection to the name, More Than Ever? I would always end the day when I put my kids to bed by telling them I love them more than ever. More than all the stars in the sky, more than all the fish in the sea, more than all the chocolate in the universe (you get the gist! ), more than ever. What inspires you most in the creation of More Than Ever designs? The inspiration for our Let’s Go to Bed collection came from enjoying the little things in life, our love of nature and having fun. Our designs are an evolution of the things we love: gemstones and leaves, spots and stripes, hugs and kisses. The colours are all inspired by the feeling of spring and sunshine, cool breezes, and greenery. What can design lovers expect to find? We have just launched our mix and match bedding and artwork at the start of November – our entire range is designed to be mixed and matched, and we offer you suggestions on what to pair with what. 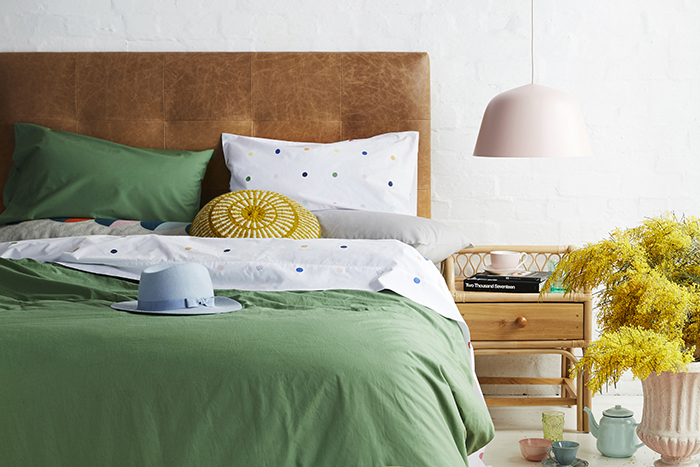 You can buy everything separately, and even match it to your existing bed linen. 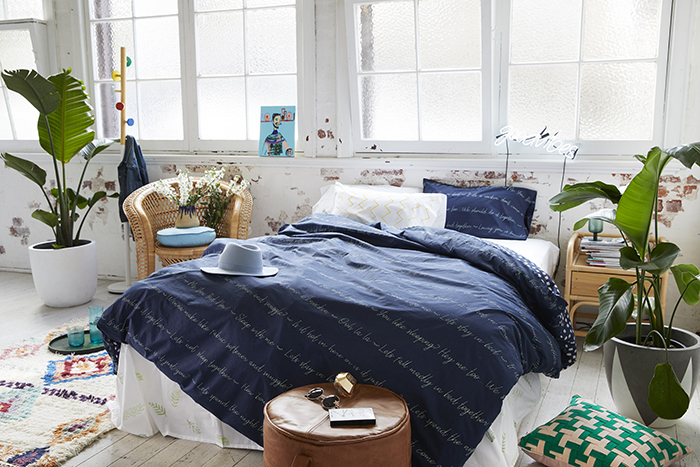 Our quilt covers are reversible so you can flip them over whenever it takes your fancy. Think splashes of patterns with pops of colour. You can keep it understated or go as all out as you like! 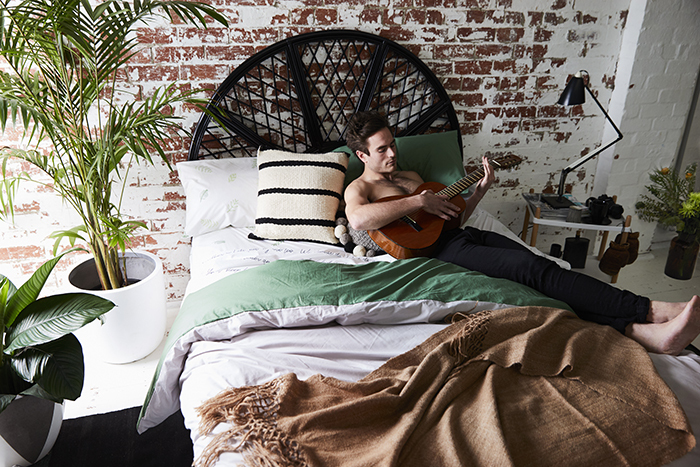 Our bedding is designed by us in Brisbane and manufactured in India. It’s 240 thread count percale cotton. We tried and tested many sheets until we found the feel we wanted and the perfect weight for our climate. Then we asked our factory to make 100% cotton fabric just for us. We visited the factory in India and observed the full process of how our bedding is made – from turning the thread into our lovely bespoke cotton fabric to making the screens for the prints, to mixing the eco-friendly dyes. There’s a lot of work that goes into creating beautiful bedlinen! All of our artwork is designed here in Brisbane and printed in Melbourne. Do you have a favourite piece (or pieces!) from the new collection? My favourites right now would have to be our Zig & Zag fitted sheet, paired with the Spot & Dot flat sheet and quilt cover. The sheets are colourful yet understated, and they feel lovely and fresh. I’m using the night sky side of the quilt cover at the moment. Mandie’s favourites currently are Leaf Me Breathless, paired with Let’s Go To Bed and the eucalypt side of our Pure and Simple quilt cover. 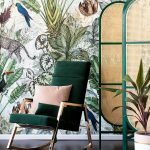 She loves this combination at the moment as the leaf pattern, and solid green give her a feeling of calmness in a sometimes chaotic house, and the cheeky quotes bring a sense of fun into the mix. Can you tell us a little about your own home and what inspires your interior style? Get the kids to school, drop into the shops to pick up something for dinner if I need to and then get to it, starting with emails. I have two desks in my studio, plus a bench and sometimes I fill every bit of space with drawings, paintings, and collages. Then I’ll hop on my computer and scan things in and play around with designs until I like them. At this point, I share them with Mandie for feedback. Then we’ll play with colour and refer to our swatches and lay them out all over the floor. If anyone were to walk past and peek in, they’d be horrified. To me, it’s a creative mess. But to anyone else, it just looks like a mess! When the kids get home, we hang out together for a bit and chat about their days, and then I’ll head back up and finish anything I was in the middle of. That can take hours though, so I end up just leaving things where they are and looking at them with fresh eyes the next day. Often my best decisions are made with those fresh eyes! After dinner, I’m often drawing on my iPad, and some of these illustrations end up as the prints you see in our shop, and the patterns might just end up on your bed. Where are your favourite local hot spots? Billykart Kitchen in Annerley is a favourite lunch spot that’s local and consistently delicious. As is Café O Mai for their Vietnamese. Mt Gravatt Marketta is great in the summer time with the kids (you’ve got to love a good food truck! ), and I do like West End – Nook, Avid Reader & Morning After. Woolloongabba is great too – Pearl Café is an old favourite for breakfast and dinner, and Detour is definitely a must if you like a bit of fine dining. Anyone would think I get out a lot! What exciting things do you have planned for the year ahead? We have cushions in production that will arrive very soon and in time for Christmas, and quilted coverlets because they are just perfect for our climate. Some nights are just too hot for a quilt but too cool for just a sheet. 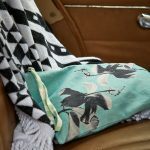 We have one in production which will be in store late January, and we plan to have a bigger range of coverlets for next Summer. Our next collection will be in time for winter though, and we are planning on introducing some warmer colours, that will mix with our current range as well as some lovely blankets. Watch this space!